Merino sheep have survived wars, floods, drought and depression down through the ages and still provide man with their wonderful wool. 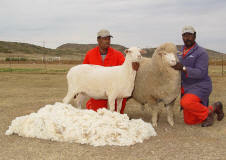 Embryos from the Mega Merino-stud at Klipplaatsfontein are sent to the main wool producing countries in the world. 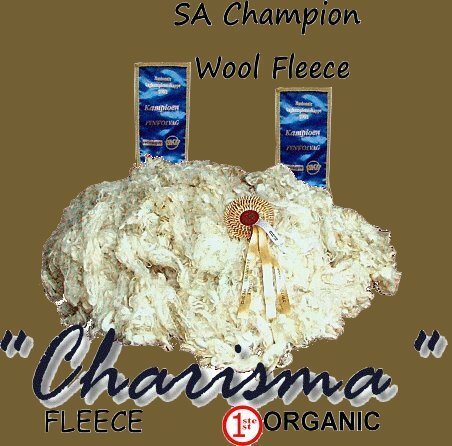 These prime quality organically grown wools, find their way to many of the world’s main centres. Mega Merino have won top honours on all shows for 100-years, including 4 out of 5 awards for SA Sheep breeder of the year. South Africa Top 10 Breeder of the Year awards. 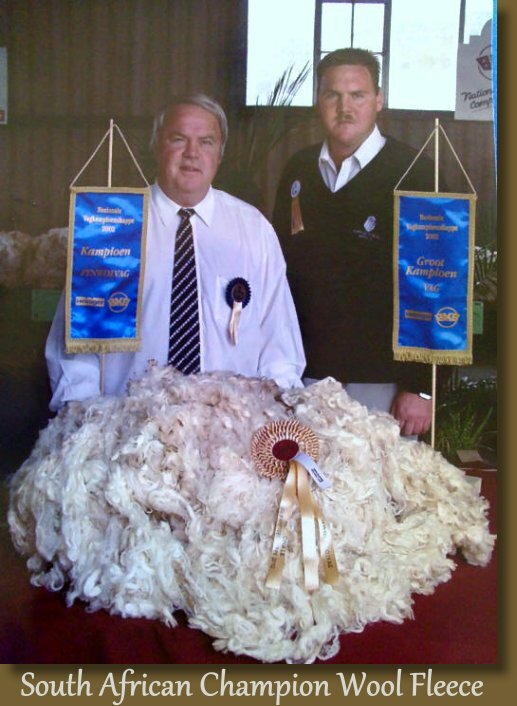 South African Supreme Champion Fleece in 2002 at the World’s largest fleece show. We are confident that these sheep will continue to produce the excellent fleece used for our World Class Charisma Fleece wool fabrics well into the future years. 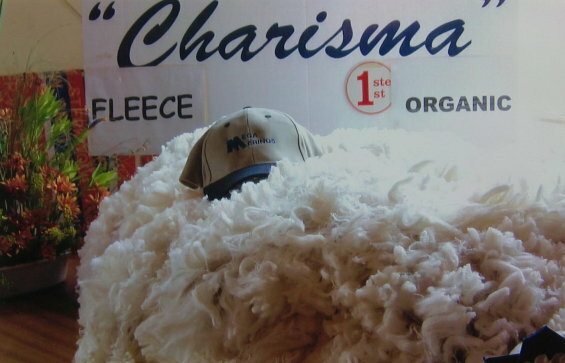 Mega Merino World Class Charisma Fleece is used in superior woollen garments world wide! types of pasture into this wonder fleece.